For Nissan owners that own a 2014 and newer models, oil change intervals are every 5000 miles while 2013 and older are between 3750-7500 miles depending on your driving habits. More than most routine vehicle maintenance procedures, an oil change is critically important to In the past, experts recommended oil changes every 3 months or 3,000 miles, but advances in oil and engine technology have extended that interval. It’s a good idea to check your owner’s manual for more specific instructions from your vehicle manufacturer about how often you should change your oil. Before you visit our Nissan certified technicians near Meriden, there are some general tips you should know about oil changes. If you have any questions about oil changes or the recommended maintenance schedule, call our Nissan service center at 877-680-4970. Whenever you get your oil changed, they should replace the oil filter as well. You can always stop by the parts department at Middletown Nissan for an oil filter if you’re doing a DIY oil change. Wondering whether to use synthetic vs. conventional oil? Check your owner’s manual. Synthetic blend oil can cost more, but some vehicles require it. Checking your motor oil level once a month will help catch any leaks in the oil system. After all, without oil, your vehicle can become seriously damaged. Be sure to check for any change to your oil’s color, as well as the appearance of any metal particles in the engine oil. Those can be signs of serious problems. 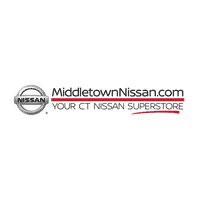 If you’re low on oil or notice another issue, schedule a service appointment with Middletown Nissan today. We offer low prices on oil changes as well as service coupons for many of our most popular maintenance and repair tasks. Contact our service center in Middletown with any questions today and get to know our reliable mechanics who are waiting to provide excellent customer service. 0 comment(s) so far on How Often Should You Schedule An Oil Change?